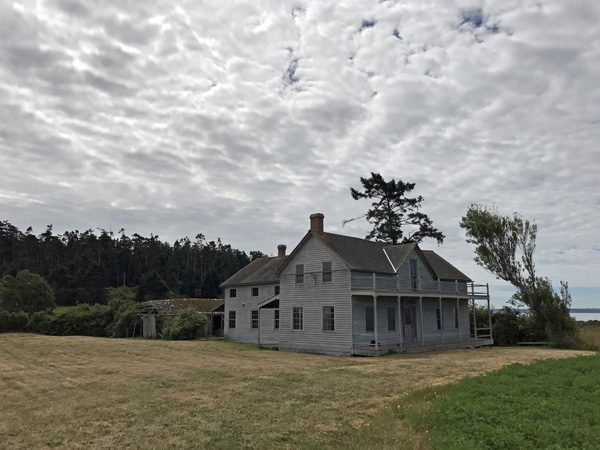 The Ferry House (Ebey’s Inn) is an intriguing part of Washington history, preserved above the nearby shores of Ebey’s Landing in Ebey’s Landing National Historical Reserve, Coupeville, Whidbey Island. 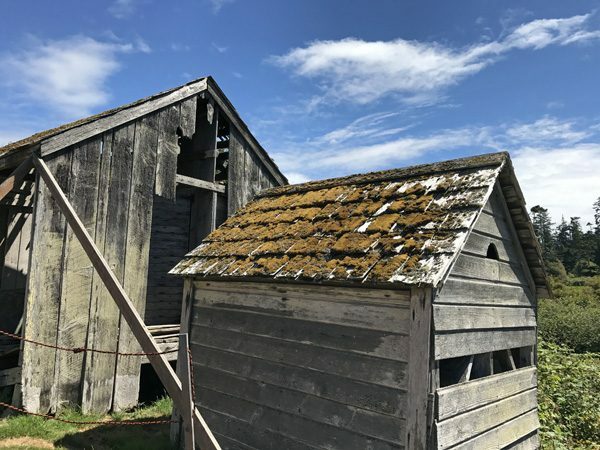 The building and immediate vicinity is owned by the National Park Service, and the grounds are open to the public but the interior of the building is not. The NPS opens up the doors for only three public tours every year. 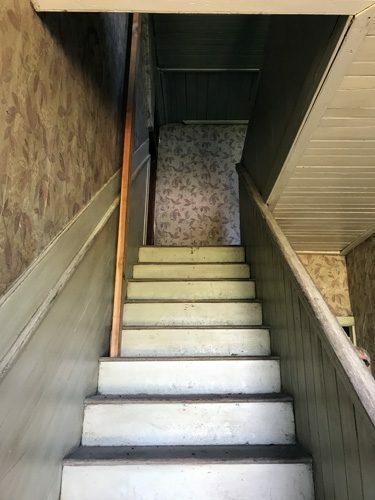 The tour’s reservations are always completely booked. 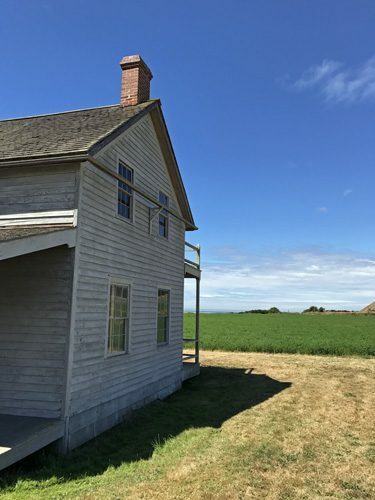 The Ferry House (originally called The Ebey Inn) was built by the Ebey family to support the growing sons of Isaac Ebey after Isaac was beheaded by Canadian native Americans. 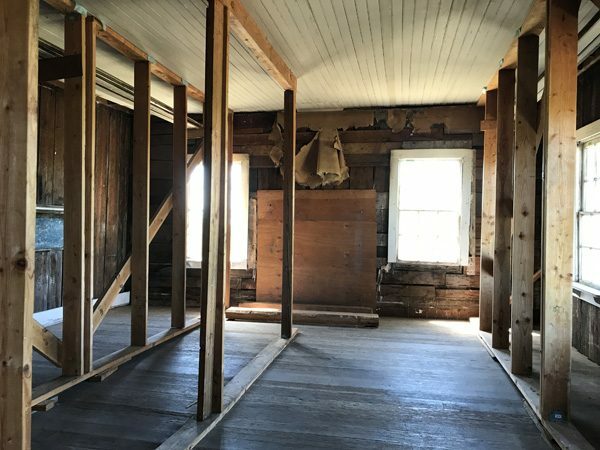 From the 1860s to around 1900 the inn served as a tavern, post office, grocery store, and hospitality inn for visitors of all kinds who moved up and around Puget Sound. 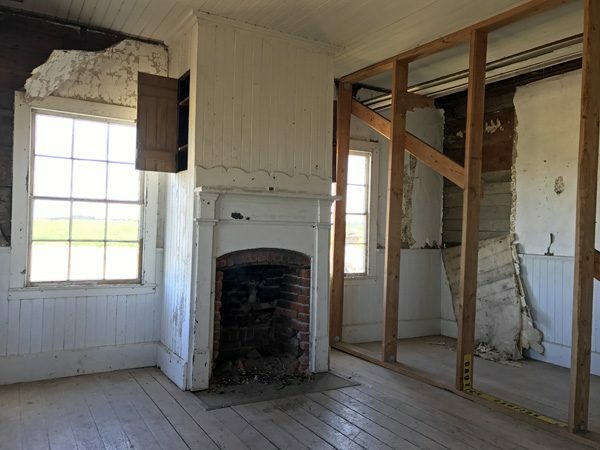 The National Park Service has emphasized structural preservation by replacing the foundation and roof, and by inserting temporary supports within the building to ensure its ongoing integrity until a fuller structural strengthening project is completed. 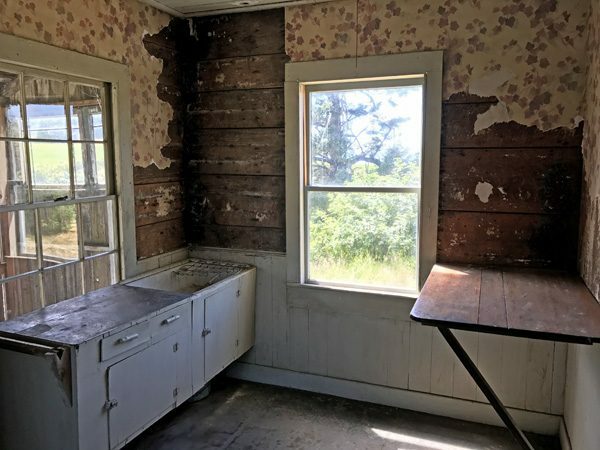 The interior is very rough. This actually helps tell its story plus reveals the building and materials techniques used by the early settlers. 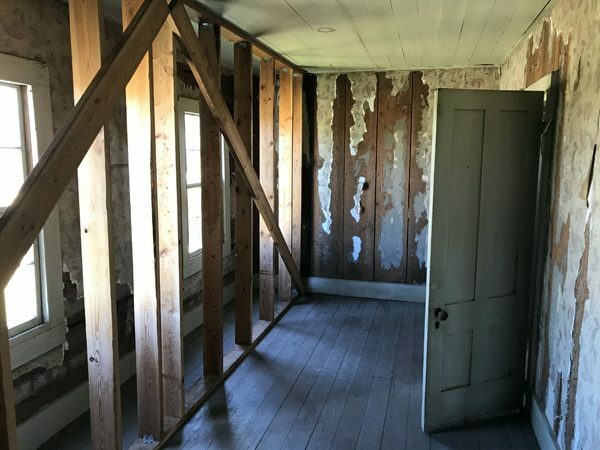 Whether or not it will ever be restored will depend upon future policies and funding. 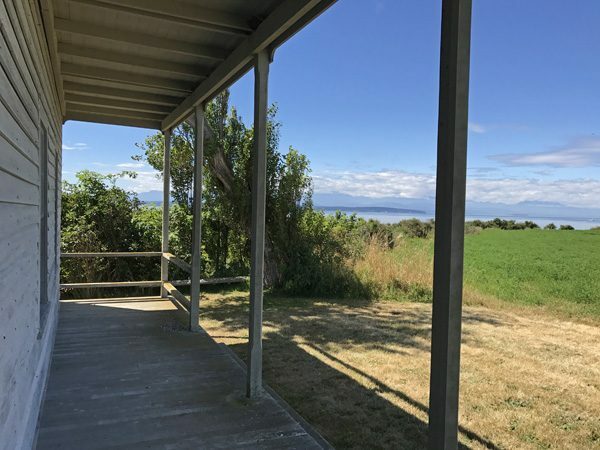 The tour was led by a very knowledgeable and personable preservationist from the Trust Board of Ebey’s Landing. The tour is well recommended. But get your reservations in early!